3 or more: $5 each! 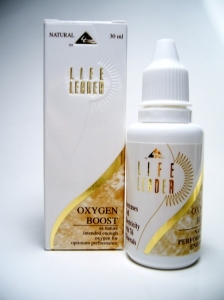 Oxygen and trace mineral supplement.Gives greater physical stamina and mental concentration. Helps combat excess acidity. pain relief. Delivers Oxygen some 30x FASTER than other acidic oxygenators. Contains over 60 ionic, trace minerals. serving size: 10-15 drops of the concentrate in 1/2 glass of water. pH 8,5. CLICK HERE to place order and get shipping quote. 3 or more: $6.75 each! This is a product that goes way beyond just trace minerals. While it contains 60+ ionic trace minerals, it ALSO contains Colloidal Silver PLUS 4 EXTRA minerals in larger amounts which humans need in greater quantities. This represents excellent value for money when compared to products containing only trace minerals! Uses: pain relief, Helps reduce excess acid, Assists with gout, better sleep, bone health. 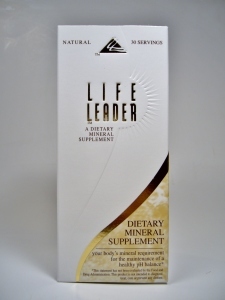 There are many other ways Life Leader Dietary Mineral Supplement can benefit your health. Just take a look at our testimonials! READ MORE ABOUT THIS PRODUCT AND WHY WE USE SEA MINERALS AND NOT PRIMEVAL RAIN FOREST MINERALS. Description: White mineral powder with a 5ml medicine measure spoon included. The powder is added to water, juice, sprinkled on cereal, taken with yoghurt or whatever way you please! Just remember to drink plenty of water or liquid during the day when taking any mineral products. Special instructions: Drink plenty of water or liquid when taking ANY mineral products. Unit size: 100 gram packet. Lasts 1 person 5-6 weeks of daily consumption at 5ml dose. Lasts 10-12 weeks at 1/2 spoon dose. 3 or more: $6.75 each (excludes shipping) 50% discount!